Quirk are going to Greece! 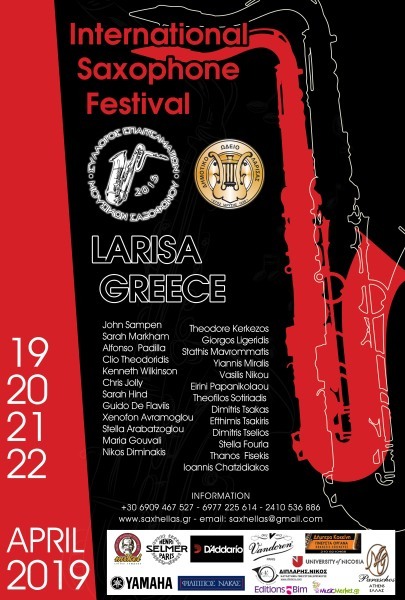 Quirk Saxophone Quartet have been invited to the International Saxophone Festival in Larisa, Greece. The weekend will involve competitions, concerts and workshops. Quirk Saxophone quartet will be performing and conducting workshops. This ​​​​n ew project blends funk, jazz and blues with original compositions. Follow the link to hear this group in action and find out where you can see them next. Sheet music is available to purchase as pdf download with Samek Music Publications or hard copy with June Emerson.